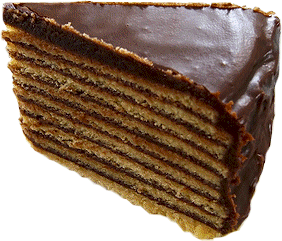 Smith Island is famous for its multi-layer cakes. Smith Island cake is the State Dessert of Maryland. This culinary delight is something you can enjoy after dinner. If you would like to take a cake home with you, please let me know before coming or the day that you arrive. A member of my family or one of the local island ladies will make one for you. The cost is $40. The flavors include the traditional Chocolate, Devils Food, Chocolate Peanut Butter, Orange, and Lemon. 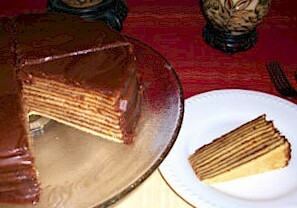 The traditional Smith Island cake consists of yellow cake with homemade cooked fudge icing. Chocolate cake with a cream cheese icing.